Coming into the holiday travel season, every travel news outlet publishes their top travel tips. 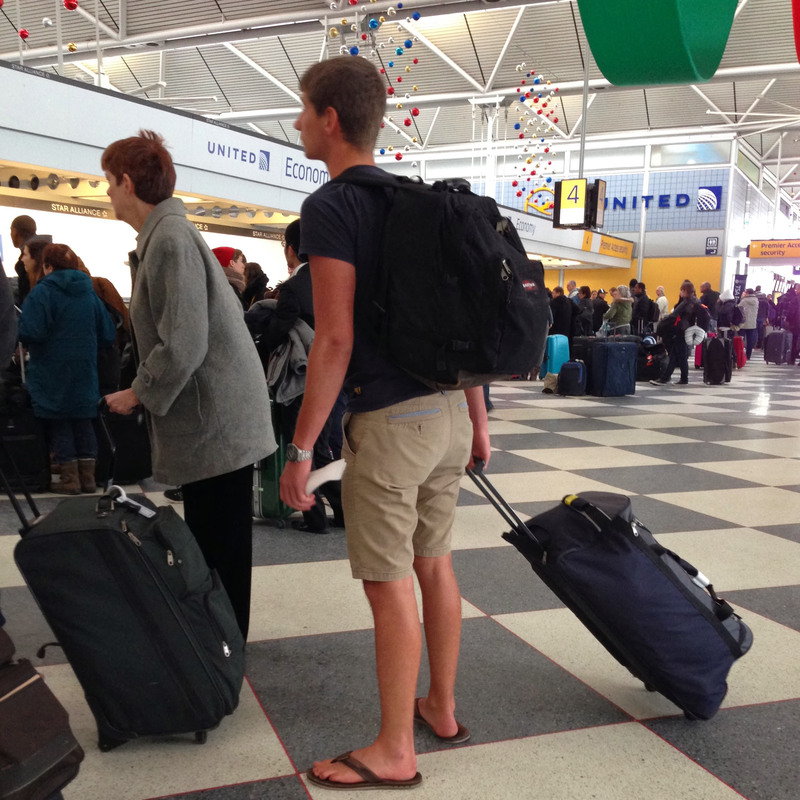 Rather than repeat the typical “pack light” and “give yourself extra time” nostrums, I decided to create an advice list of what’s really the problem during holiday travel — airport etiquette. Let’s start at the front of the airport with the security line. The TSA is pushing PreCheck. You may get it on your boarding pass or a TSA person may randomly pull you out of the regular line and route you to the PreCheck line. It’s your lucky day! Don’t spoil it, though, by not knowing the PreCheck rules. Put your phone away and read the signs — don’t take off your shoes, don’t pull your liquids out, keep your jacket on, …. Read the signs and don’t slow it down for everyone else. If getting to your gate involves a moving platform or an escalator, stand to the right because people are walking — usually quickly — on the left. Traveling with others, you’ll naturally want to stand abreast, but then you’re blocking everyone else. Don’t do it unless you want to get run over. When you hit the airport Starbucks for your pre-flight coffee, remember that this isn’t your neighborhood Starbucks run by friendly Starbucks-trained baristas. It’s run by Sodexo which doesn’t care quite as much about coffee training. And they’re not quite as efficient. And there are usually a lot of people behind you in line. Keep your order to 3 adjectives or less. Tall skim latte is good. The half-decaf 3-pump no-foam vente vanilla latte — not so much. While queuing at the gate, don’t try to cheat on the boarding. Everyone’s looking at each others boarding passes, and airlines are telling their agents to get more strict. On almost every flight, I’ve seen the boarding agent direct someone over to the wall of shame to wait for their boarding group to be called. Don’t embarrass your family. Wait your turn. And if you’re using an electronic boarding pass on your smartphone, turn off auto-rotate. If you don’t, odds are that your screen will start oscillating between portrait and landscape while you’re trying to get it on the electronic reader. You’ll delay the boarding line and quickly earn the enmity of your seatmates — even before you sit shoulder-to-shoulder with them for 2-4 hours. And finally, and this is a big one, don’t put your small bag in the overhead. I don’t care if you checked a bag. Don’t be that person who puts a purse or a briefcase in the overhead. Show a little holiday spirit — put ‘em under the seat in front of you and leave space for one more roller board for the poor urchins in Groups 3, 4 or 5. When that person’s bag doesn’t get dropped on a tight connection through DFW, and they’re able to sit down to Thanksgiving dinner in something other than day-old sweats, they’ll thank you.